The Planet Pixies ($24.99) for ages 3 and up are eco-friendly soft dolls—crafted from certified organic cotton and natural materials, with packaging made of 100 percent post consumer recycled cardboard—that aim to guide kids towards eco-conscious decision making. Each doll character hails from a different endangered zone of the globe—the Florida Everglades (Kayla the Marsh Pixie), the Arctic Ocean (Anyu the Ice Pixie) and the Amazon Rain Forest (Maia the Tree Pixie)—and comes packaged with age-appropriate information about that Pixie’s homeland and the very real dangers it faces, as well as eco-tips for kids (and their caregivers) to learn. Kids can also visit www.treehugger.com for even more ways to be environmentally friendly at home, including the three Rs of Reduce, Reuse and Recycle. New York, NY (August 27, 2008) – The newest concept from Toyland to living a greener life are the Planet Pixies– three clever little creatures who offer simple steps to children (as young as 3) to make their own eco-friendly decisions, thus saving the planet for future pixies and people. 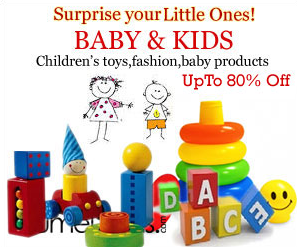 The toy world has taken notice of I Love My Planet Toys as organic products continue to be in high demand. Couple the Pixie’s emphasis on green, socially-conscious living with their reasonable price and it’s no wonder online giants Amazon.com, Target.com, ToysRUs.com and specialty stores and e-tailers like FAO Schwarz are jumping to offer the line on their websites and in boutiques. Each Pixie comes from a different endangered zone of the globe– the Amazon Rain Forest, the Arctic Ocean and the Florida Everglades. I Love My Planet Toys have cleverly packaged age-appropriate information about the Pixies homeland and the very real dangers they face. Eco-tips are provided that children ages 3 and up (and their caregivers) can learn to help save the planet. The Planet Pixies were initially designed to encourage little girls to think about ways to save the planet. The doll set includes tips for recycling and taking care of the forest, the marshes and the North Pole where the Pixies’ homes are in danger of disappearing. 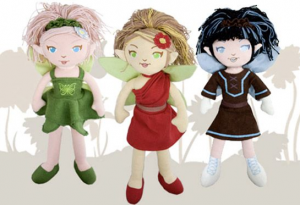 Each Planet Pixie is made from certified organic cotton and natural materials. Even their boxes are made of 100% post-consumer recycled cardboard. With her green wings and butterfly-embroidered dress, Kayla hails from the marshes of the Florida Everglades. The Everglades are tropical marshland located in the southern portion of the state. But she and her pixie friends are slowly losing their homes since the Everglades now are only 50% of its original size due to over building and pollution. What remains is threatened by water pollution from fertilizers used in farming and waste runoff from local communities. Kayla needs a good friend that will care for her and her environment — a rare and beautiful place that is home to panthers, manatees, bobcats, alligators and of course Pixies! Look carefully and you can find Maia fluttering around the Amazon Rain Forest. It’s easy to spot her with her red dress and red hair accessories. The Amazon is the world’s largest and most famous rainforest and is home to more species of plants and animals than any other place on the planet. The trees of the Amazon are being cut down every day, much faster than the Amazon trees grow. This is call “deforestation”. Maia and her pixie friends are starting to lose their homes. She needs a good friend that will care for her and her environment since about 30% of the world’s animal species are found there including the jaguar, parrot, crocodile, monkey and Pixies! The silver-winged Anyu is an Ice Pixie from the North Pole. She’s dressed warmly with gloves, shoes and a belted brown and icy-blue dress. Located on the northernmost point on Earth, the North Pole is a magical, winter wonderland that is home to reindeer, polar bears, seals – and Pixies! This ice is called the “polar ice cap”, and it is very important to our planet. What happens at the North Pole affects all life on Earth. Pollution from all over the world travels and gets trapped at the north pole causing temperatures to rise and the arctic ice to melt. This is called global warming and its causing Anyu and her Pixie friends to lose their icy homes. She needs a good friend that will care for her and her region. As children adopt their Planet Pixies and read the information that arrives with each doll, they can also turn to the special website, www.planetpixies.com, for specific ways to be environmentally friendly. Youngsters will learn about the three Rs: Reduce, Reuse, Recycle. Or discover easy-to-do solutions such as saving water at home by turning off the faucet while brushing teeth or washing hands.